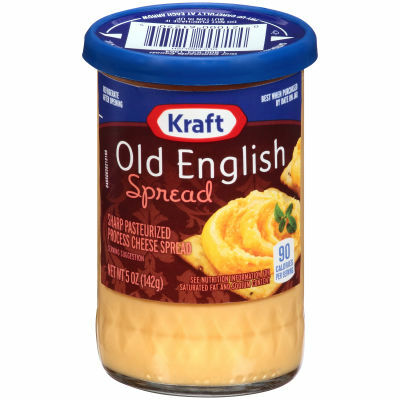 Old English Sharp Cheddar Cheese Spread - This Kraft Old English Sharp Cheddar Cheese Spread is prepared with high quality ingredients for a superbly yummy and luxurious taste you're sure to love. Sharp cheddar cheese is seasoned with a pinch of salt for an exquisite flavor that can't be beat. Versatile Flavor - With delicious ingredients and original flavors, this Kraft Old English Sharp Cheddar Cheese Spread has a unique taste that will wake your taste buds up. Try serving this rich and flavorful spread on your favorite sandwiches or pasta dishes and add a velvety and creamy touch to the meal.